All Ireland Captains Prize Winner; Congratulations to Templemore Captains Prize Winner Pat Looby for securing 2nd. Place in the All ireland Captains Prize winner’s competition held in Roscrea Golf Club on Saturday 15th. Sept. Pat will now travel to the Algarve to represent Templemore Golf Club in the final in 2019. The All Ireland Captains Prize Winners Competition was introduced by Roscrea Golf in 1994. Since then, many prize winners have traveled to Portugal to play in the finals. All the winners win an expense paid trip to the ALGARVE in Spring 2019. It is a tremendous achievement to win your Club Captains Prize and equally to achieve 2nd place in the competition in Roscrea. Best of luck to Pat in the Algarve competition in the spring of 2019. 2018: Dundrum House Golf & Country Club Tipperary. J.P. McManus Pro-Am; The Pre-Qualifier competition was played in the Limerick Golf Club on Friday 21st. September. The Team Representing Templemore Golf Club were Pat Dunne, Michael Webster, Timmy Tuohy. Also, by invitation were Sean Lee and Club Captain Tommy Foley who teamed with Hugh Maher from Nenagh Golf Club. The Pre-Qualifier was a fund raiser in support of the Daughters of Charity respite centre for children with special needs and medical complaints in the Tipperary, Limerick, and Clare areas. The classic was under the banner of the “Lisnagry Association” part of the Daughters of Charity. The support of Templemore Golf Club is greatly appreciated by our Club Captain Tommy Foley. The winners of the Pre-Qualifiers will take part in the July 2020 JP McManus Pro-Am. Since its inception in 1990, the event has attracted golf’s leading names to Ireland and raised over €140 million for beneficiaries. Retirement; Vice Captain John Stapleton has regretfully retired as Vice-Captain due to health issues. He nominated his successor Tony O’Toole to continue with the Vice-Captain for the remainder of the season and as Captain for 2019. The committee wished John a speedy recovery and also to his daughter Amanda. John was praised highly for all his work on the committee and to the club in general. Tony thanked John for the nomination and also the committee for their support. The Vice-Captain Competition will be held on the 13th. and 14th. October. Sunday 18 Hole Competition Winners: The turn out for Saturday 15th. and Sunday 16th. 18hole Stableford was great considering the weather change. The Winners were; 1st. Jim Cahill. 2nd. Jim Russell. 3rd. Ambrose Purcell. All members are requested to make a great effort to participate in this week-end Golf competition. Juvenile Golf; All Juveniles are encouraged by the Club Juvenile Officer Pat O’Connell to continue playing over school breaks. Any information required contact Pat O’Connell 087 9205821. The Seniors; The Seniors is always a fantastic event for retired golfers to return to the game with like-minded golfers. If you are over 55 or retired, from any distance or Club you will be more than welcome. The results are as follows for Thursday, 20th. Sept.; 1st. Gerry Keegan, Pat Costello, Tom Kennedy, Mick Connell. 2nd Team; Seamus Bourke, Pascal Whelan, Seanie Gleeson. 3rd. Team; John Mullaly, Michael Maher, Liam Daly. 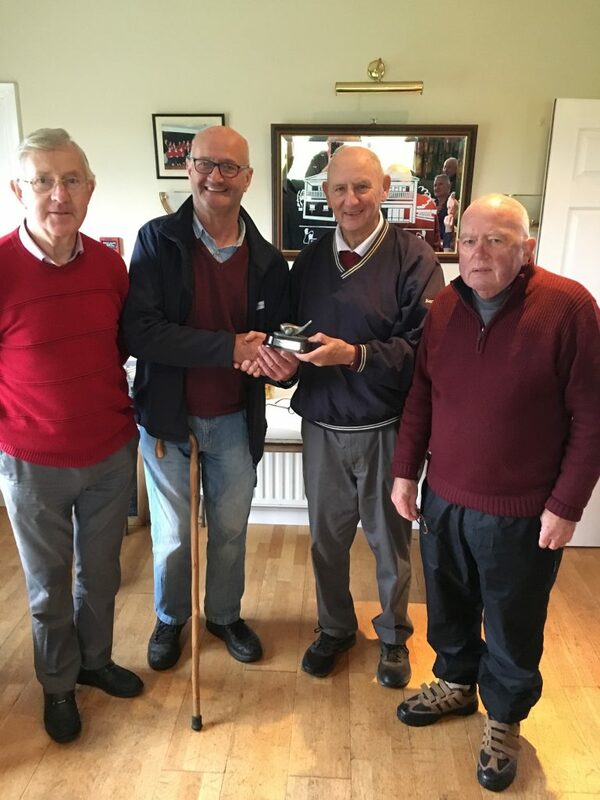 “Hole in One” Presentation; A presentation was made to Mick Murphy for achieving a “Hole in One” on the 5th. Green. Mick, in his long career in golf has now notched up 6 holes in one. A great achievement considering that some golfers never achieve a “Hole in One”. Well done Mick from all the seniors. Next Seniors; Thursday 27th. Sept.
Away Seniors; The Seniors away trip to Roscrea Golf Course will take place on Thursday 11th. October. Tee-time 10.30 am. Price 25euro. Including Meal. For more details Contact Seanie Gleeson, 086 1672510. LMC; The next outing is on Wed. 26th. Sept. in Templemore. Enrolling now for New Members both Lady and Gents; New members will now be accepted for 2019. Early Bird applications will have the advantage of completing this year golf season. All current members are encouraged to introduce at least “ONE NEW MEMBER” Lady or Gent, Junior or Student, Senior or Family, Active Retiree’s or any person interested in taking up the sport. It will be a huge advantage to building the club membership and profile. Registrations Forms for new members are now available on-line on our web site, or at the club house or contact Martin Bohan 087 0509278 or any of the committee members. All will be welcomed. Green Fee; The Green Fee continue@ €10 for 9hole or 18hole. Rules of Golf; The 2019 Players edition on the “Rules of Golf” are now available in the locker room. There are some significant relevant changes to the rules that effect all players of golf. It focuses on the rules that are most relevant to a player and the most commonly used rules. Some are very interesting. It is an abridged version of the full Rules of Golf, aimed to help you the Golfer with the Rules during your play. Collect your book now, while stocks last. 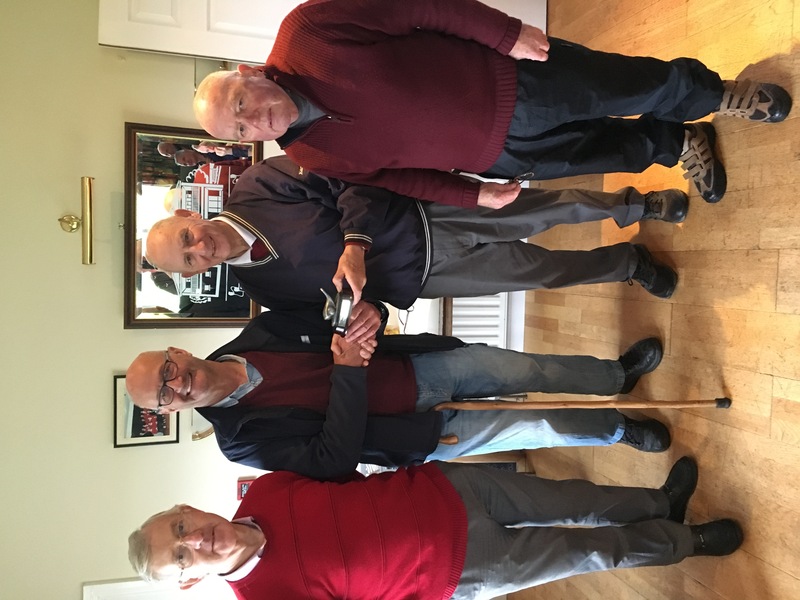 Reminder; 50 Years of Golf in Templemore; PJ requested that all members past and present to dig deep and search achieves for any memorabilia that they can find. Old photos, sayings, and good banter from the past that can be resurrected to make this project successful All will be appreciated and returned as received after the process. 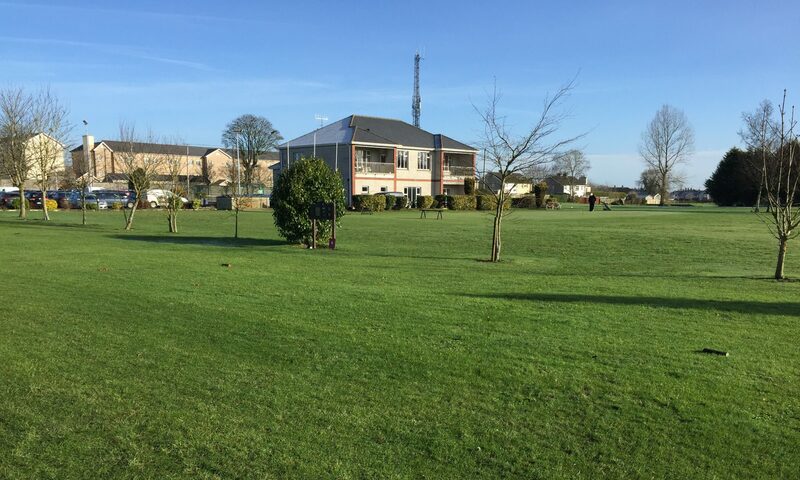 9 hole Golf Course Advantage; The advantage of playing Golf in Templemore 9hole Golf Course has its advantages; A magnificent Golf Course to test your golf skills as it tested the best of Tipperary and Munster prestigious clubs in the JB Carr tournament. Templemore Golf Course is available to all golfers, especially to those that want to return to the game also to members and non-members and members from other clubs to get in your practice rounds, beginners, Active Retiree’s and families who want to take up the sport will get assistance from any committee member, (refer to web site for committee member list) here are some positive reasons for golfing in Templemore Golf Course; Golf can be good for your health and your heart. Walking an average course for a round of 18 holes of golf can be between five to seven kilometres. If you walk 18 holes three to five times a week, you’ll get an optimal amount of endurance exercise for your heart. If you pull your clubs or carry them, you’ll burn even more calories each round and benefit even more. Playing golf regularly can help you: Stay fit, Improve your muscle tone and Endurance, Lose weight and body fat. Golf can also be a great way to keep in touch with friends, help in reducing stress as a result of the physical activity and also due to the pleasure of walking in an open and natural environment, provide opportunities to meet new people, help develop a sense of community connectedness. Golf can be a very social and enjoyable sport. While you compete against others, you can also compete with yourself to better your previous best score. Templemore Golf Course provides Good Social occasions, Presentation Nights, Social Mixed, Senior Events and Away Trips. The Handicap System allows members of different abilities an equal chance of winning. Various Category of Memberships are available at different rates. (Membership option rates are on our web site). Full Annual Membership €350 = Approximately, only 95c. per day. New members are the lifeline of the club, so all existing members are encouraged to tell all your friends to take up membership and test their skills on this challenging Golf course. Registrations Forms for new members are now available on-line on our web site, or at the club house or contact Martin Bohan 087 0509278 or any of the committee members. All are welcome. 12th. Oct. JB Carr Team Presentation. 13th. and 14th. Oct. Vice Captain. 22nd. Oct. 3T’s Team All-Ireland at the K Club.